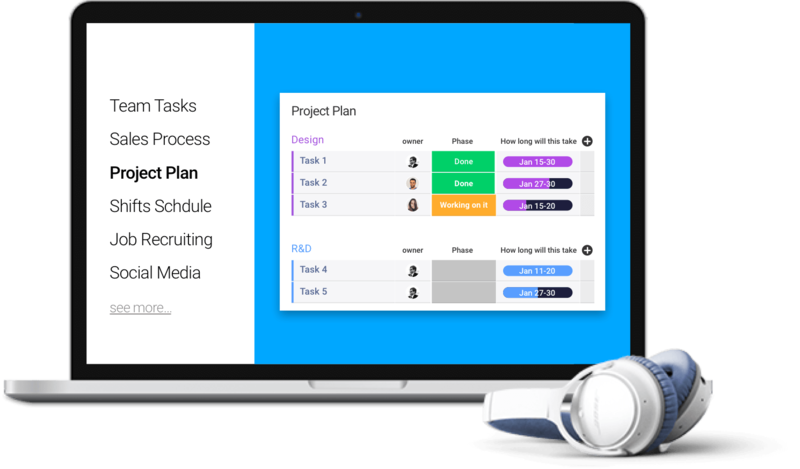 By using a visual timeline feature, you will be able to track your employee's shifts and keep your team on the same page. 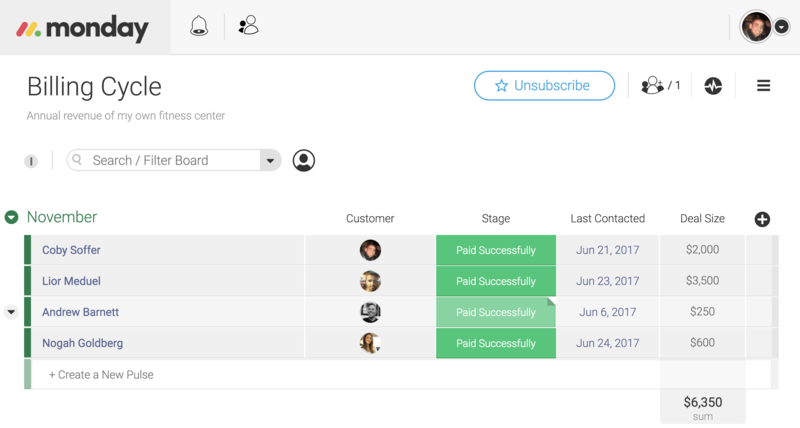 Achieve better employee management by easily seeing an overview of shift schedules. Assign shifts in advance to efficiently plan your weeks. Use a tool that will allow you to work in a synchronized and effortless manner. 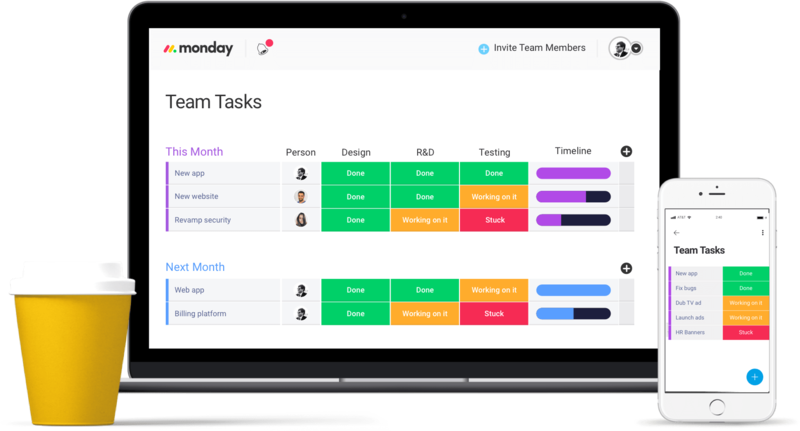 Track weekly activity schedules with a customizable team management software. 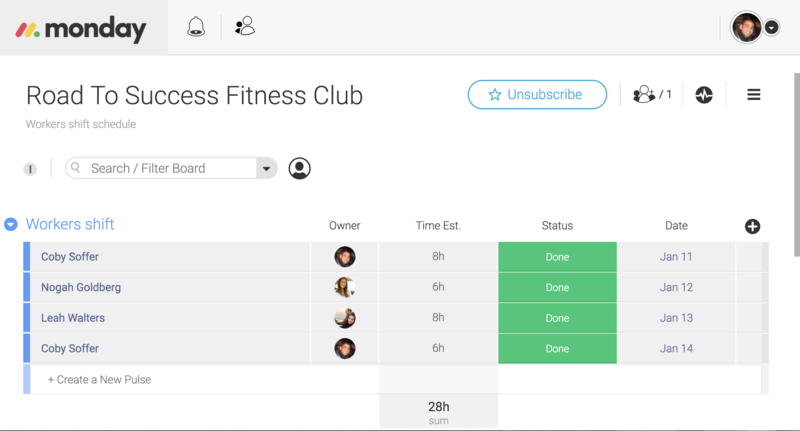 Your clients can also use the software to visualize their own activity schedules and share knowledge and goals with each other. All information can be displayed in an organized and engaging manner. Our software management tool will enable you better manage your payments system and never miss a single transaction. Use our board to share information between coworkers and to make sure that all the customers pay on time. Assign each customer to a Pulse that contains information about his payment program.